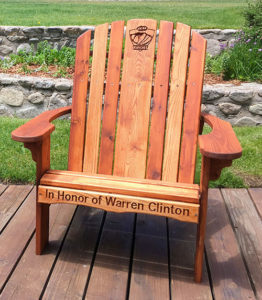 Honor your friends and family with a stunning, engraved wood chair for the A/U Ranches while supporting the place you love. You can be part of a limited-run opportunity to purchase a beautiful chair for the A/U Ranches! 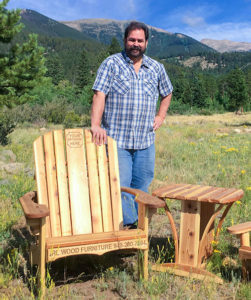 With a gift of $400*, your engraved chair will be enjoyed by visitors to Sky Valley Ranch and Round-Up Ranch. These chairs will replace existing plastic chairs that are less sturdy and blow away in strong winds. Just 40 chairs are available – so order yours now! Thank you for “Opening Windows to God” for Christian Science youth through your support! *Your gift is 100% tax deductible. 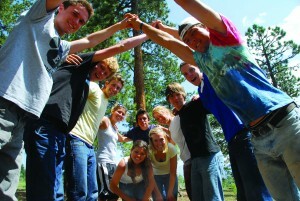 Rob Wood has been a camper, counselor and full-time employee of Adventure Unlimited. Some may remember Rob from a few years ago when, as the operations coordinator, he performed a variety of administrative responsibilities as well as managed the camp stores and the camp rifle range. Today, Rob lives and works in Buena Vista selling real estate and making furniture.